Piriformis syndrome affects the piriformis muscle, a small muscle within the buttocks that runs from the lower spine to the top of the femur. Piriformis can irritate the sciatic nerve, causing symptoms that mimic sciatica. The sciatic nerve runs underneath your piriformis muscle. When the piriformis muscle becomes damaged or overused, it can tighten, swell, or spasm, which can irritate the sciatic nerve and cause pain, numbness, and a feeling of weakness. What parts of the body are affected by piriformis syndrome? The piriformis muscle is affected by piriformis syndrome. 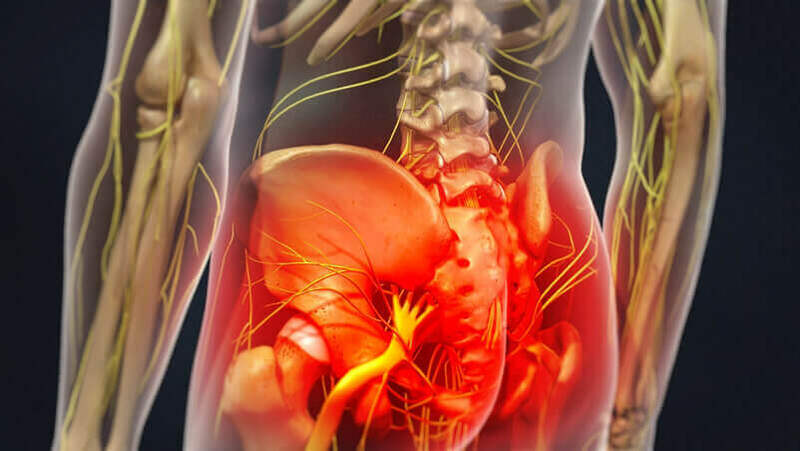 The sciatic nerve, which is situated underneath the piriformis muscle, can be irritated or negatively affected when your piriformis muscle swells or spasms due to piriformis syndrome. Your piriformis muscle is one of the external rotators of the leg that help you turn your foot inward or outward. Piriformis syndrome is often caused by sports that involve repeated forward movements of the legs or conditions that affect surrounding joints such as the sacroiliac joints. While the exact cause of piriformis syndrome is unknown, many orthopedic surgeons believe that when the piriformis muscle is overused or injured, the sciatic nerve is negatively affected. After an injury or spasm, your piriformis muscle may tighten, which can constrict your sciatic nerve. It is also possible that your piriformis muscle may swell after an injury or spasm, which can cause excess pressure to be placed on your sciatic nerve. Additionally, a piriformis muscle spasm can be caused by irritation of the piriformis muscle or irritation of surrounding joints. After a fall or injury, you may experience piriformis muscle bleeding, which is referred to as a hematoma. A hematoma refers to the blood that collects in and around the piriformis muscle. In most cases, a hematoma will dissolve and be followed by muscle spasms. While the muscle can, in some cases, heal on its own, scar tissue often forms on the piriformis muscle. Scar tissue is less elastic and can cause the piriformis muscle to tighten and put additional pressure on your sciatic nerve. What are some common piriformis syndrome symptoms? Common piriformis syndrome symptoms include pain that progresses down the back of the leg, which may be felt on only one side of the leg or both sides of the leg. Piriformis pain can even extend as far down as the foot and is often mistaken for a herniated disc or sciatica. In some cases, you may feel weakness, tingling, or numbness in your legs. Piriformis symptoms may be worse after exercise, walking up a flight of stairs, or sitting down. Sitting causes additional pressure to be placed on your piriformis muscle or sciatic nerve. Some patients also feel a dull ache or discomfort in the buttock or a smaller range of motion of the hip joint. How can Dr. Rozbruch diagnose piriformis syndrome? To begin diagnosing your piriformis pain, Dr. Rozbruch will go over your medical history and your current health. After a physical exam, Dr. Rozbruch may ask you questions to better understand your specific symptoms and health. You may be asked if certain positions, activities, or movements cause pain. Finally, Dr. Rozbruch may ask about your family’s medical history and if you have a history of any injuries. Additional piriformis syndrome tests that Dr. Rozbruch may perform include a posture exam, X-ray scan, MRI scan, bone scan, or diagnostic injection. Dr. Rozbruch may examine your posture when sitting and walking to help determine exactly where your pain is located. He can also determine what movements may cause you additional discomfort. By assessing your posture, muscle strength, reflexes, and more, Dr. Rozbruch is better able to accurately diagnose your symptoms. An X-ray of your lower back may be ordered to help Dr. Rozbruch detect any injuries or the severity of wear and tear on your piriformis muscle and surrounding joints. Using a small dose of radiation, an X-ray is a radiological tool that creates an image of your internal organs and structures. An X-ray scan of the low back can help rule out conditions that may have similar symptoms as piriformis syndrome. A piriformis syndrome MRI uses magnetic resonance imaging to create detailed images of the lower spine and pelvic area. An MRI of the piriformis muscle can help rule out an incorrect diagnosis of a medical condition that causes similar symptoms. Utilizing a magnetic field and radio waves, an MRI scan can provide a highly detailed image of your pelvic region. Because an MRI produces such detailed images, nerve and muscle irritation may be found more easily. A bone scan for piriformis syndrome can help Dr. Rozbruch understand how your bones are reacting to an injury, infection, or inflammation. Prior to the start of a bone scan, tracers will be administered to your blood stream. These tracers will congregate in areas where the tissue of the bone is reacting to stress (injury, infection, etc.). A piriformis syndrome injection is a diagnostic procedure that is one of the most accurate ways to diagnose piriformis syndrome. A diagnostic injection into the piriformis muscle can help determine if this muscle is the cause of your symptoms. Because the piriformis muscle is deep within your buttocks, the diagnostic injection often requires guidance from an X-ray, CAT scan, or MRI scan. Once the needle has been carefully placed within your piriformis muscle, an anesthetic will be injected into the muscle to temporarily paralyze the piriformis muscle. If you experience a relief from your symptoms, Dr. Rozbruch will be able to determine that your piriformis muscle was causing pain. What piriformis syndrome treatment options are available? There are several common piriformis syndrome treatments currently available. While some patients may experience relief with a piriformis syndrome procedure, other patients may require multiple treatments or surgery. Some of the most common treatments include nonsurgical piriformis syndrome treatment, physical therapy, piriformis syndrome injections, and piriformis syndrome surgery. The initial treatment for piriformis syndrome often includes over-the-counter anti-inflammatory medications such as ibuprofen to treat pain and inflammation. Medications such as Tylenol® will help manage pain but will not reduce inflammation. In some cases, the first step to treating piriformis syndrome is to monitor its progression and see if your symptoms begin to fade or worsen. If symptoms begin to worsen, Dr. Rozbruch will quickly find a proper treatment for you. Physical therapy for piriformis syndrome can help reduce the discomfort and pain associated with piriformis syndrome. Physical therapy can help stop spasms in the piriformis muscle, which can alleviate pressure from the sciatic nerve. Stretching exercises for piriformis syndrome can also help reduce the pressure being placed on the sciatic nerve and reduce the tension in your piriformis muscle. Piriformis syndrome injections can help temporarily reduce the pain from an irritated or swelling piriformis muscle. Medications such as Lidocaine are often administered during a piriformis syndrome injection to relax your piriformis muscle, temporarily reducing pain and discomfort. There are a variety of medications that may be injected into your piriformis muscle for relief of symptoms. Dr. Rozbruch can help determine which piriformis injection may be right for your specific symptoms. In more severe cases, Botox® injections can be administered to temporarily halt the piriformis muscle. While Botox® injections are not permanent, they may last longer than injections using other medications. Botox® helps your piriformis muscle to relax, relieving the tension and pressure on your sciatic nerve. After receiving Botox® injections for piriformis syndrome, Dr. Rozbruch may suggest resuming physical therapy, as this may help the muscle heal while you do not have pain or other symptoms. If you still experience piriformis pain after undergoing various treatments, Dr. Rozbruch may suggest surgery. While surgery is an effective piriformis syndrome treatment, it is rarely recommended first, as to avoid undergoing unnecessary surgery if your piriformis syndrome may be effectively treated by another procedure. There are 2 common piriformis syndrome surgeries. One is done by cutting where the piriformis muscle attaches to the top of the femur. The second piriformis surgery involves cutting through the piriformis muscle in an area closer to the sciatic nerve to help alleviate pressure. Piriformis syndrome surgery is often performed on an outpatient basis where patients are able to return home the same day as their surgery. In some cases, it may be suggested that you spend 1 night in the hospital if you may need additional monitoring. Piriformis surgery can be performed under general anesthesia or a spinal anesthetic. Dr. Rozbruch will begin your piriformis syndrome surgery by making a small incision in your buttocks. After locating the piriformis muscle, Dr. Rozbruch will cut the piriformis muscle. Where Dr. Rozbruch cuts the piriformis muscle will be decided with you prior to the day of your surgery. In some cases, it may be suggested that a small section of your piriformis muscle is removed. What should I expect after a piriformis surgery? After piriformis surgery, Dr. Rozbruch may suggest working with a physical therapist to begin piriformis stretches for proper healing. You may meet with a physical therapist 2-3 times a week for 1-2 months until your piriformis muscle has properly healed. The entire recovery period for piriformis syndrome surgery may take up to 3 months depending on if a portion of your muscle was removed. A physical therapist will then help you create an at-home physical therapy workout to continue helping your piriformis muscle heal and become stronger. How can I learn more about piriformis syndrome treatment? To learn more about a piriformis syndrome treatment, please request an appointment online or call Dr. Rozbruch’s orthopedic office in NYC at 212-744-9857. Prior to an office visit, please fill out Dr. Rozbruch’s patient forms to expedite your first visit.